Consumer Reports compared 13 packaged, store-bought cookies for taste and texture. The “trained sensory panel” was asked to rate the cookies for their sensory quality. None was judged as good as home-made, but two were rated “Very good.” Nutrition information is given as listed on labels. Cookies were rated for taste, cost per one-ounce serving, the number of calories contained in that serving, and the total amount of fat (in grams) per serving. Rating “Very Good” meant the cookies were “Well blended, flavorful, good chip-to-cookie ratio, crunchy but tender.” Only two were in this category. 1. Health Valley Mini cost 54 cents for 4 cookies (1 oz. ), which contained 140 calories with 6 g. of fat. 2. Keebler Chips Deluxe Original [formula will not contain palm oil after February] cost 22 cents for 2 cookies, which contained 170 calories with 9 g. of fat. These two were rated “more tender” with more chocolate flavor than most. Keebler is more like shortbread; HV had a more buttery taste and cost more than twice as much. In the top category, Keebler was rated CR’s “Best Buy” for price and taste. 1. Nabisco Chips Ahoy! Real Chocolate [formula was due to change this summer] cost 25 cents for 3, which contained 160 calories with 8 g. of fat. 2. Trader Joe’s Dress Circle Crispy Crunchy cost 23 cents for 12 cookies, which contained 150 calories with 9 g. of fat. 3. Back to Nature Chocolate Chunk cost 36 cents for 2 cookies, which contained 130 calories with 6 g. of fat. 4. Pepperidge Farm Nantucket Soft Baked Chocolate Chunk Dark cost 43 cents for 1 cookie, which contained 150 calories, with 8 g. of fat. 5. Great Value (Walmart) cost 7 cents for 2 cookies, which contained 130 calories with 6 g. of fat. 6. Mrs. Fields Semi-Sweet cost 43 cents for 1 cookie, which contained 160 calories with 8 g. of fat. 7. 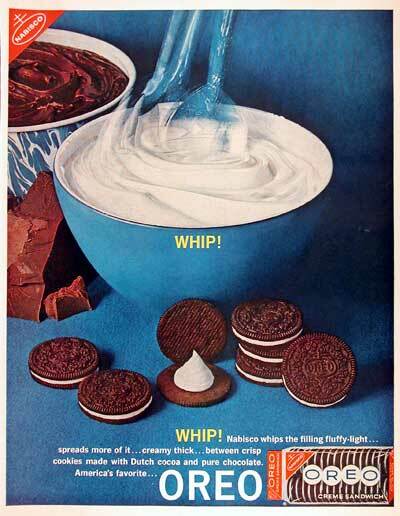 Nabisco Chips Ahoy! Real Chocolate Reduced Fat [formula was due to change this summer] cost 25 cents for 3 cookies, which contained 140 calories with 5 g. of fat. 8. Newman’s Own Organics Champion Chip Cookies cost 47 cents for 4 cookies, which contained 160 calories with 7 g. from fat. 9. Famous Amos Bite Size [will no longer contain palm oil after February] cost 24 cents for 4, which contained 150 calories with 7 g. of fat. 1. Archer Farms Organic Petite (Target) cost 45 cents for 3 cookies, which contained 120 calories with 5 g. of fat. 2. Pamela’s Products Chunky Gourmet all Natural (wheat and gluten free) cost 44 cents for 1 cookie, which contained 120 calories with 6 g. of fat. CR noted that the Walmart (# 5) cookies had more cookie than chocolate and had a toasted taste. They were the least expensive of all at 7 cents per ounce. Package sizes ranged from 7 to 18 ounces, and costs were based on those sized packages. Three brands were labeled organic and “varied widely in quality.” Those included Health Valley (# 1 in the “very good” category), Newman’s Own (# 8), and the wheat and gluten-free Archer Farms (# 1 in the “fair” category).